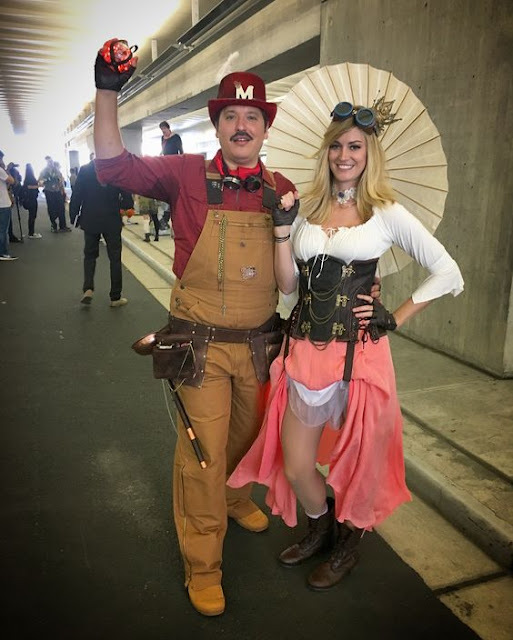 "We were looking for cosplay ideas, and I said Mario and Princess Peach, and she said "I will not dress as a Princess" and so we became steampunk." The details really make the outfits here. Notice the cute metal crown at a jaunty tilt on Peach's head. Her lace necklace mimics the neckline of Peach's dress, and includes her iconic blue brooch. The white paper parasol makes an excellent, less-girly version of Peach's magical parasol, Perry. Mario's red felt bowler hat is decorated with a white feather, a metal 'M' and gears. 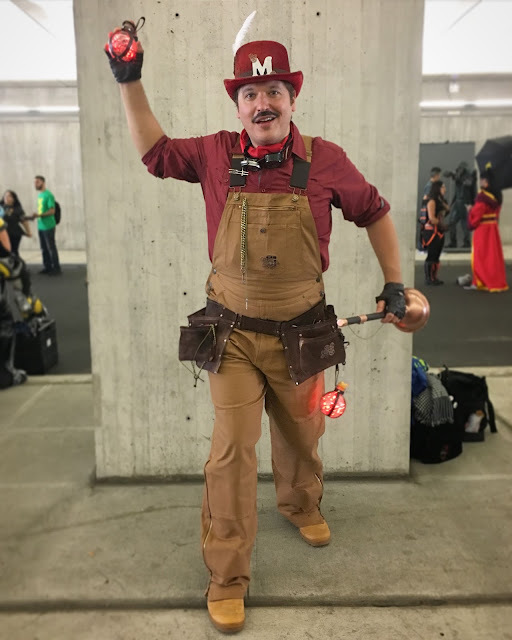 He carries a copper plunger and throws the occasional homemade LED fireball.